Pertu ladies shoes, Spanish size 40, UK 6.5-7. Black/ white/ red. BNIB PERTU RED & CREAM HEELS-SIZE 7/41-RRP £75.00. OFFERS WELCOME! a pair of size 6 Pertu ladies beige shoes/with bag . Leather. Used Once . 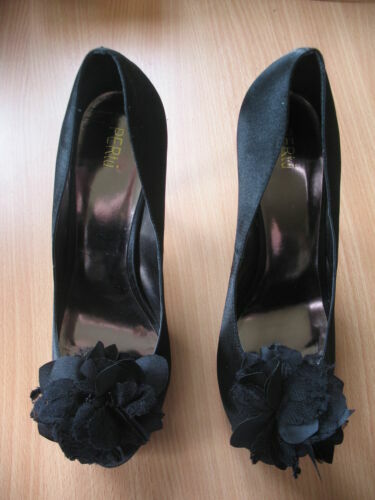 Ladies High Heeled Black Shoes Size 40. Very Good Condition.